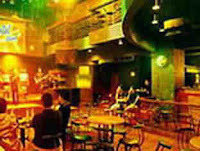 THIS is the complete karaoke lounge with 44 private karaoke rooms including three karaoke suite rooms featuring state of art computerized karaoke system. EXECUTIVE music room that opens 24 Hours. Executive Karaoke offers perfect place to meet friends and relax from your stress of the day. HAVE a great time at Karaeng Karaoke in Hotel Santika Makassar. Pick your favorite song and sing it with the best karaoke system available. THIS is the biggest night club at this time. Often performance of live music with best sound and lighting system equipment available in it. THIS is the place where nonstop beat was presented by the leading and professional DJs. For those who likes the sensation of music, this is the place. BOTOL Music brings live music every night. Have best sound and lighting system quality. The performance of famous band often presented. DANGKE is a typical food of Enrekang Regency. Made from buffalo milk and traditionally processed. This is a kind of cheese. Of course contains lot of protein. Dangke is scarce food because rarely found, even in Makassar City.